"This nicely paced mystery integrates historical information from the period into the story line well. 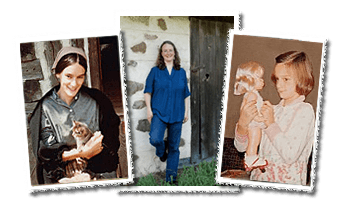 Older American Girl and mystery fans will enjoy learning more about [one of] their favorite characters." 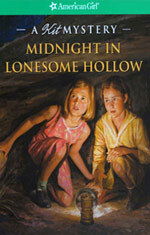 Midnight In Lonesome Hollow is Kathleen's second Kit mystery and her sixth book for American Girl. 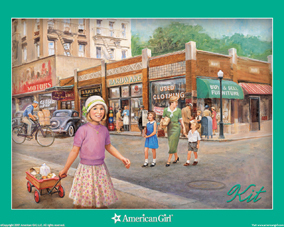 It is written for readers age 9 and up who enjoy stories about Kit Kittredge's life during the Great Depression. Kit is visiting Aunt Millie in 1934. When a professor arrives to study Kentucky mountain traditions, Kit is thrilled to help with her research—until it becomes clear that somebody doesn't want "outsiders" nosing around. Kit decides to find out who's making trouble, even if it means venturing into Lonesome Hollow in the dark of night. Midnight In Lonesome Hollow is available as a 192-page printed book with an illustrated “Looking Back” section to provide historical context, as well as for the Barnes and Noble Nook and the Amazon Kindle. 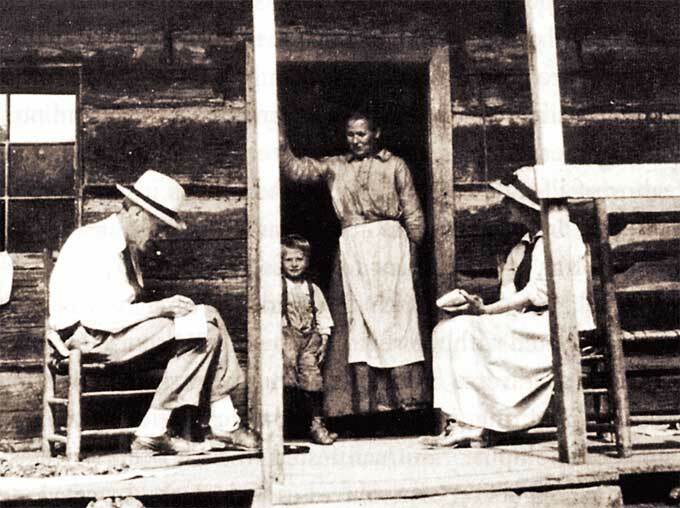 "Ernst does a fine job of showing not only the poverty of Appalachia during the Depression but also the ingenuity of its people. The mystery element is solid, but this works best as an evocation of time and place." American Girl has 're-branded' the Kit books, dropping this and other titles. Fortunately this Kit story is still available as an ebook from the vendors listed below. NOTE: You can buy 'as new' softcover and hardcover copies of Midnight In Lonesome Hollow—while supplies last—directly from me, signed and personalized as desired. Request a quote by clicking HERE. I dearly love the southern Appalachian Mountains. 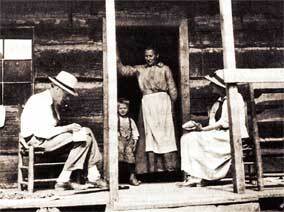 I lived in West Virginia for four years, and have wonderful memories of many visits to the region. When my editor and I talked about ideas for my second Kit mystery, it was easy to choose a Kentucky setting! While doing research I traveled to the area where Kit's Aunt Millie lives. I had a fine time thinking about the many ways people responded to the Great Depression. It was fun to weave those things into a mystery for Kit to solve!